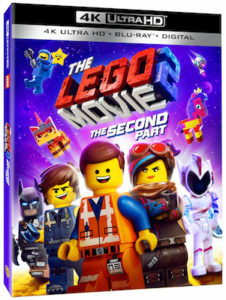 The Lego Movie 2: The Second Part will arrive on digital April 16 and 4K UHD combo pack, Blu-ray combo pack and special-edition DVD May 7 from Warner Bros. Home Entertainment. The sequel reunites the heroes of Bricksburg in a new adventure to save their city. 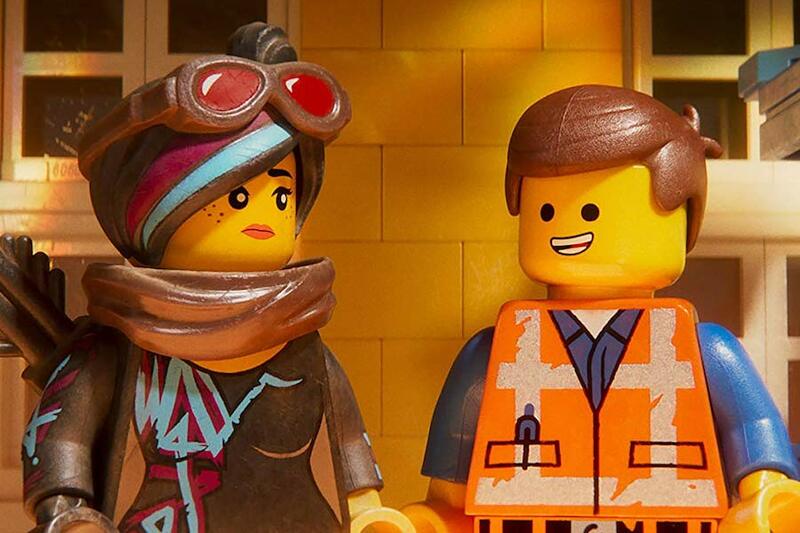 Reprising their starring roles from the first film are Chris Pratt (“Guardians of the Galaxy,” Jurassic World) as Emmet; Elizabeth Banks (“The Hunger Games” movies, Love & Mercy) as Lucy, aka Wyldstyle; Will Arnett (“The Lego Batman Movies,” TV’s “Arrested Development”) as Lego Batman; Alison Brie (TV’s “Glow,” TV’s “Community”) as Unikitty; Nick Offerman (“Fargo,” TV’s “Parks and Recreation”) as MetalBeard; and Charlie Day (the “Horrible Bosses” movies, TV’s “It’s Always Sunny in Philadephia”) as Benny. They are joined by Tiffany Haddish (Girls Trip) and Stephanie Beatriz (Short Term 12, TV’s “Brooklyn Nine-Nine”) as new characters Queen Watevra Wa’Nabi and General Mayhem, respectively, and Maya Rudolph (Bridesmaids, TV’s “Big Mouth”) as Mom. 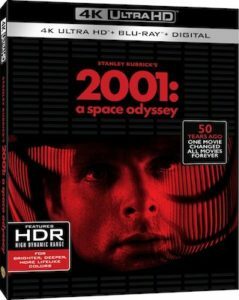 The 4K Ultra HD Blu-ray disc will feature a Dolby Atmos soundtrack. The special edition DVD contains all those special features except for the sing-along. 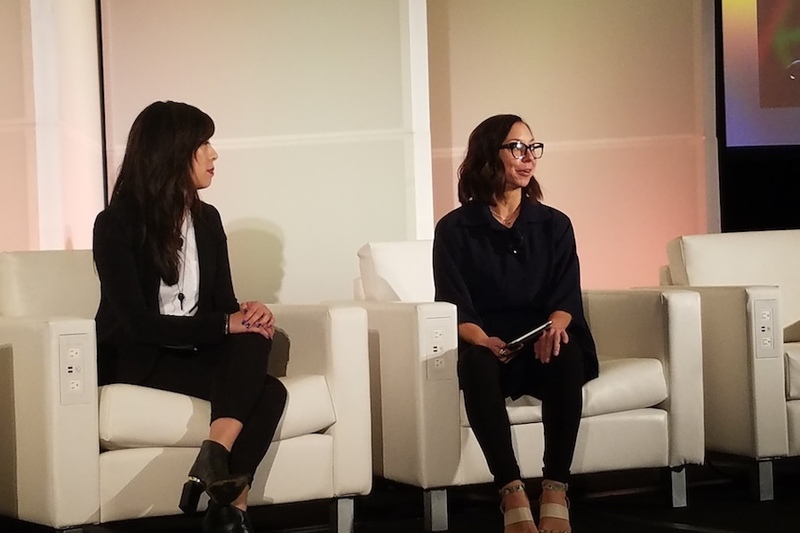 Curation, community and differentiation are key to the success of the just-launched DC Universe streaming service, said Katie Soo, SVP and head of marketing at Warner Bros. Digital Networks. Soo participated in a keynote conversation with Celiena Adcock, industry manager, entertainment, and head of streaming at Facebook Feb. 5 during the Digital Entertainment World conference in Marina del Rey, Calif.
That’s where curation comes in, noted Soo, who runs marketing for Warner’s direct-to-consumer portfolio including DC Universe. The streaming service features stories and characters from the DC comic book world, including such new shows as “Titans,” “Young Justice” and “Doom Patrol” (launching this month). The service is $7.99 a month or $74.99 for the year. “There’s curation of experiences around a specific brand of content and then there’s the experience of the curated content itself,” Soo said. On the experiential side, DC Universe launched at San Diego Comic-con with immersive rooms. “We built a half a dozen immersive experiences bringing each of the shows to life and it was fascinating,” she said. “What ended up happening was there was so much excitement and buzz around just being in these experiences. Just to give you a snapshot, we had a Harley Quinn room for one of our upcoming shows and people put on these suits and went into the Arkham cell and picked up a bat and just started breaking things, and it was fascinating to see the behavior. Product differentiation is also key in finding consumers. What also set DC Universe apart are other products that the service offers. Building that home is also key, she said. “I think it’s really important to create a community and a space that feels like a destination, that brings people together but is also safe, [a place] that they don’t feel like they can’t be themselves,” she said. The animated Smallfoot will come out on digital (including Movies Anywhere) Dec. 4 and Blu-ray Combo Pack and DVD Dec. 11 from Warner Bros. Home Entertainment. The film, featuring music by Zendaya and Common, turns the Bigfoot legend upside down when a bright young Yeti (voice of Channing Tatum) finds something he thought didn’t exist — a human. 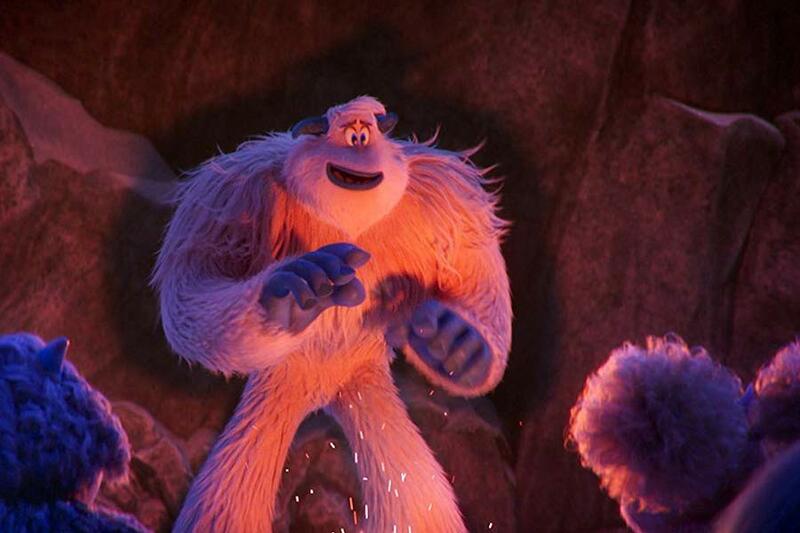 News of the “smallfoot,” Percy (voice of James Corden), throws the simple Yeti community into an uproar over what else might be out there in the big world beyond their snowy village. The film also features the voice talent of Zendaya, Common, LeBron James, Danny DeVito, Gina Rodriguez, Yara Shahidi, Ely Henry and Jimmy Tatro. Warner Bros. Motion Picture Group has undergone a reorganization of its public relations and marketing teams, cutting 15 jobs in New York and Los Angeles and promoting some executives, according to reports. Variety broke the story about the cuts. Warner is consolidating the marketing and public relations teams under Blair Rich, president of worldwide theatrical and home entertainment marketing, Variety reported, noting that the cuts were not related to the AT&T-Time Warner merger. The studio is combining domestic and international publicity units under Michelle Slavich, head of global publicity and strategy. 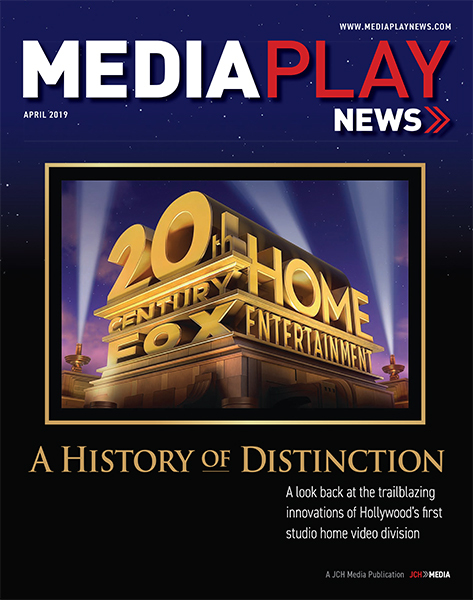 “Back in January, we announced a restructure of our film and home entertainment businesses to enable us to remain competitive while facing an evolving business environment that grows more global every day,” Rich wrote in a memo to staff, Variety reported. Dana Nussbaum will oversee theatrical media, Deadline reported, and will more closely align it with the home entertainment media unit. As part of the move, Jack Walker has been promoted to SVP, media and digital marketing, home entertainment, reporting to Nussbaum and Jessica Schell, EVP and GM, film at Warner Bros. Home Entertainment, according to Deadline. Walker will work with Andrew Hotz, who oversees theatrical digital marketing and media, and Jeff Brown, who oversees home entertainment television, Deadline reported. Walker had previously reported to Schell and Brown. Lynne Frank, president, international marketing and worldwide planning and operations for Warner Bros. Pictures, will be leaving the studio at the end of the year to pursue new professional opportunities, the studio announced Oct. 23. Also leaving are EVP of international publicity Lance Volland and Ernie Johnston in promotions and field publicity, according to Deadline. 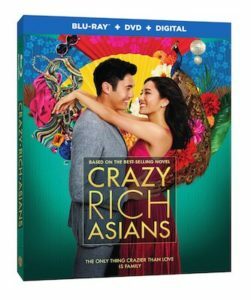 The romantic comeday Crazy Rich Asians is coming out on digital (including Movies Anywhere) Nov. 6 and on Blu-ray Combo Pack and DVD Nov. 20 from Warner Bros. Home Entertainment. The film has earned $169.6 million in theaters. The international cast of stars includes Constance Wu (TV’s “Fresh Off the Boat”), Gemma Chan (TV’s “Humans”), Lisa Lu (2012), Awkwafina (Ocean’s 8, Neighbors 2), Ken Jeong (the “Hangover” films) and Michelle Yeoh (TV’s “Star Trek: Discovery,” Crouching Tiger, Hidden Dragon). The ensemble also includes Henry Golding, making his feature film debut, Sonoya Mizuno (La La Land), Chris Pang (TV’s “Marco Polo”), Jimmy O. Yang (TV’s “Silicon Valley”), comedian Ronny Chieng (TV’s “The Daily Show”), Remy Hii (TV’s “Marco Polo”), Nico Santos (TV’s “Superstore”) and Jing Lusi (TV’s “Stan Lee’s Lucky Man”). 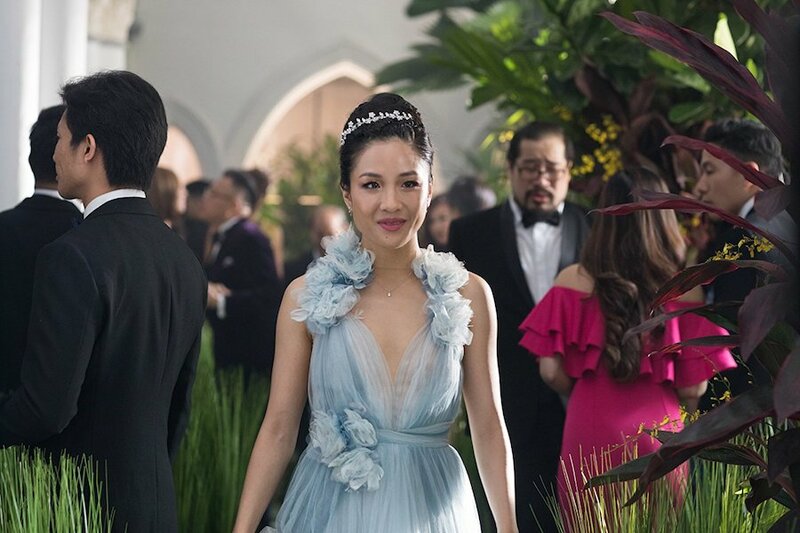 Based on the bestseller by Kevin Kwan, the film follows New Yorker Rachel Chu (Wu) as she accompanies her longtime boyfriend, Nick Young (Golding), to his best friend’s wedding in Singapore. Excited about visiting Asia for the first time but nervous about meeting Nick’s family, Rachel is unprepared to learn that Nick has neglected to mention a few key details about his life. Not only is he the scion of one of the country’s wealthiest families, but also one of its most sought-after bachelors. Being on Nick’s arm puts a target on Rachel’s back, with jealous socialites and worse, Nick’s own disapproving mother (Yeoh) taking aim. 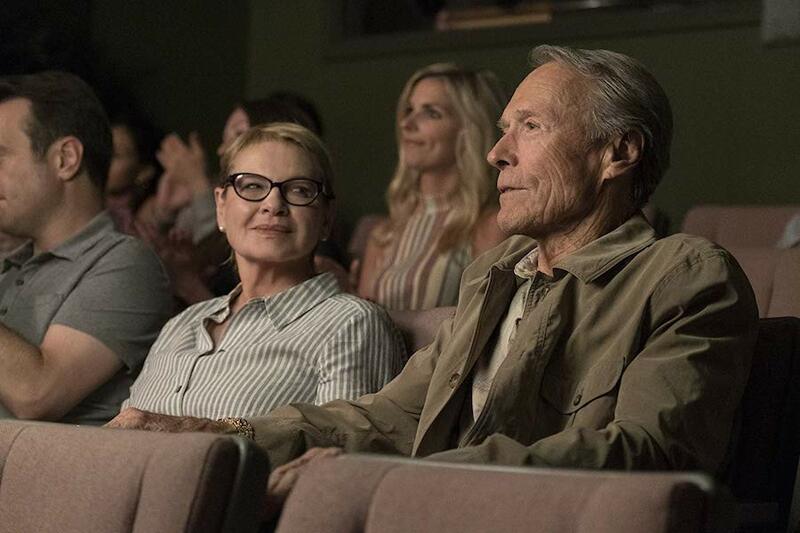 Uncle Drew, a sports comedy from Lionsgate that earned $42.5 million in North American movie theaters, saw higher rental demand at Redbox kiosks the week ended Oct. 1 than Walt Disney’s Solo: A Star Wars Story, which even with a domestic gross of $214 million was the poorest performer of the 11 “Star Wars” movies. Both films were released on DVD and Blu-ray Disc on Sept. 25. 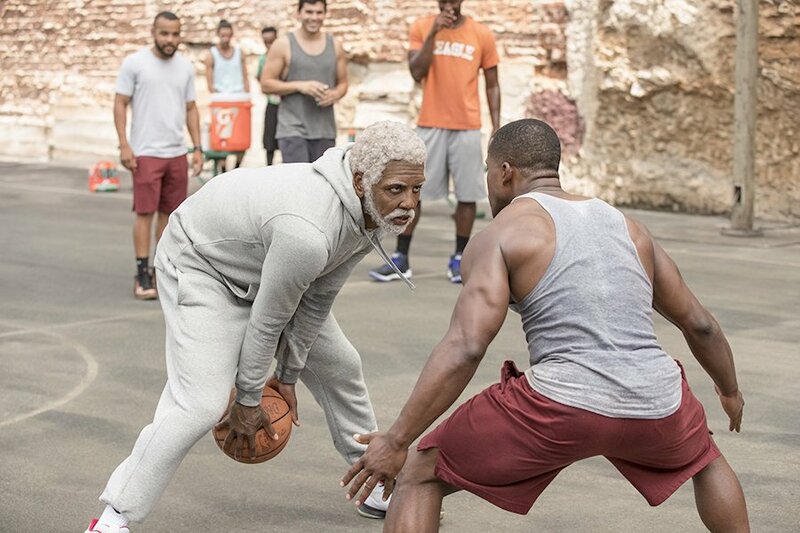 Uncle Drew debuted at No. 2 on the Redbox kiosk chart, which tracks DVD and Blu-ray Disc rentals, while Solo bowed at No. 3. Jurassic World: Fallen Kingdom, the latest installment in the blockbuster dinosaur franchise from Universal Pictures, remained at No. 1 for the second consecutive week on both the Redbox kiosk chart and the Redbox On Demand chart, which tracks digital purchases (EST) and rentals (TVOD). The film, the fifth in the “Jurassic Park” series, grossed $416.6 million in the United States and Canada and another $887.1 million in other territories for a total worldwide gross of $1.304 billion. One other new release debuted in the top 10 on the Redbox rental chart: the much-maligned Gotti, starring John Travolta as the notorious New York gangster. The crime drama, bowing at No. 7, had been slated for release in December 2017, but two weeks before the scheduled release date Lionsgate sold the film back to its producers – hence, the delay. Gotti was ultimately released for the home market on Sept. 25 by Vertical Entertainment, with Lionsgate still handling distribution. Rounding out the top five on the Redbox kiosk charts were the Sandra Bullock-starrer Ocean’s 8 at No. 4 and Tag at No. 5, both released by Warner Bros.
On the Redbox On Demand chart, Ocean’s 8 remained at No. 2 for the second consecutive week while Uncle Drew debuted at No. 3, even though it was released digitally two weeks prior to its disc issuance. Rounding out the top five on the Redbox digital chart were Tag at No. 4 and Gotti at No. 5, the latter up from No. 8 the prior week. Buy or rent Redbox On Demand movies. 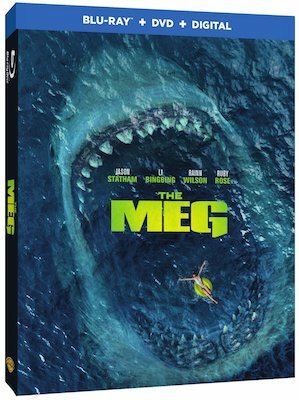 Classic cartoons and new direct-to-video titles were highlighted at the 2018 San Diego Comic-Con International over the weekend by Warner Bros. Home Entertainment and the Warner Archive Collection. 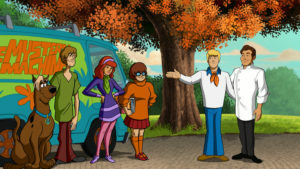 Panelists noted the groundbreaking nature of the cartoon. 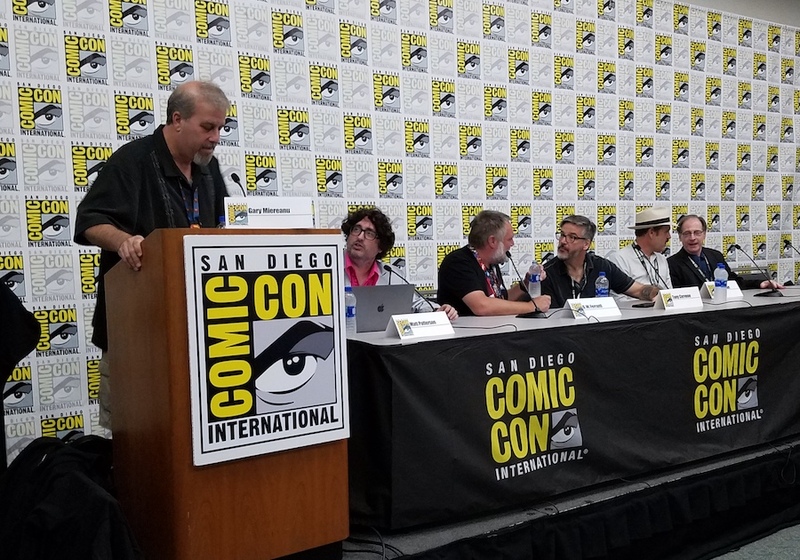 Panelists also showed clips from and talked about the show’s many incarnations from the 1960s through the 1990s, including a crossover movie featuring the Tom and Jerry characters. 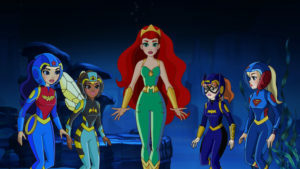 Warner also highlighted the Blu-ray boxed set of Batman: The Animated Series, due in late 2018, with producers, voice director and cast; premiered Scooby-Doo and the Gourmet Ghost, due on digital Aug. 28 and DVD Sept. 11, with a panel of voice talent; premiered Super Hero Girls: Legends of Atlantis, due Oct. 2 on digital and DVD; and premiered and hosted a panel of talent for LEGO DC Comics Super Heroes: Aquaman — Rage of Atlantis, due on Blu-ray Combo Pack, DVD and digital July 31.